AVMM would like to thank Bagman and Musician Donald McCombie, author of ‘Story of the Dancer’, Squire John Ekers, former Squire Dave Reed, former Vicar of St Mary’s, Stephen Fletcher and Sharp & Blunt and Adderbury Morris for joining us for this evening’s moving tribute to those who lost their lives in the Great War. It was a joyful moment of togetherness in remembrance. ‘The Story of the Dancer’ focuses on the Christmas Truce of 1914 when singing briefly stopped the war. 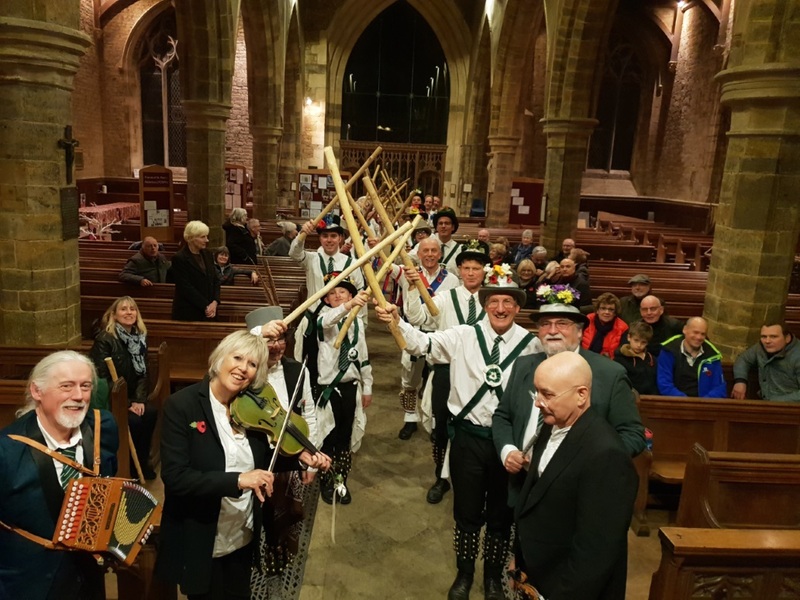 As we paused to reflect on the 100th anniversary of the end the First World War and the loss of nearly 20 million lives, Adderbury and its Morris sides are thankful for the sacrifices made and grateful that our music, song and dance live on.